You've seen these pieces before, but my brother helped me take some proper photographs of them. (TACK Marcus!) They will be included in a show in Sydney next month, if anyone happens to be in Sydney. 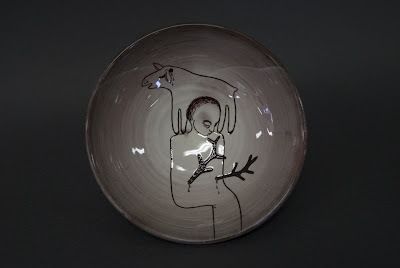 "During July, 2009 Sydney College of the Arts, the visual arts faculty of the University of Sydney will be hosting the exhibition YOUNG GUNS – a survey of international ceramics artists in the SCA Main Gallery. 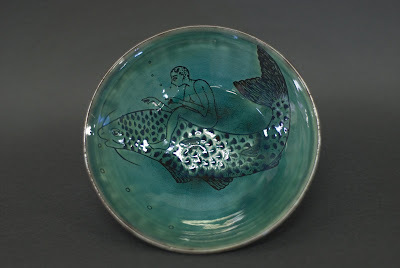 The intention is to highlight the innovative and varied contemporary ceramic art being created by emerging practitioners from around the globe." WOW! esk. I wish i could go and see them. I'll tell my sisters about it and see if they can go see them!